Visiting family or friends for the holidays? 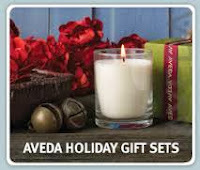 Every great hostess loves an Aveda gift! Out of ideas? Stop by one of our Aveda salon locations this holiday season & one of our Aveda team members would love to give you a tour through our Aveda gifts sets of all sizes and prices. Holidays can be stressful enough, let the gift shopping be easy!